Huawei and Vivo, the largest telecommunications company in Brazil, jointly announced their successful deployment of the first wavelength-division multiplexing (WDM) lines crossing the Amazon River and the Amazon rainforest. The network connects two Brazilian state capitals: Amazonas' capital Manaus and Pará's capital Belém. The WDM lines are 2100 kilometers connecting over 20 cities in the Amazon rainforest including five super-long spans (200 km to 261 km). It currently supports 40G wavelengths and could be upgraded to 100G. The companies said the deployment required overcoming many obstacles, including the rough terrain and harsh environment of the rainforest. 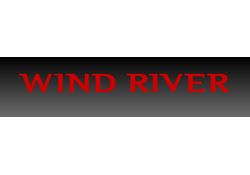 Ken Klein resigned as President of Wind River, the Intel subsidiary that develops embedded software for intelligent connected systems. The company appointed chief operating officer (COO) Barry Mainz as his successor as president. Mr. Klein will continue as a non-employee member of the Board.